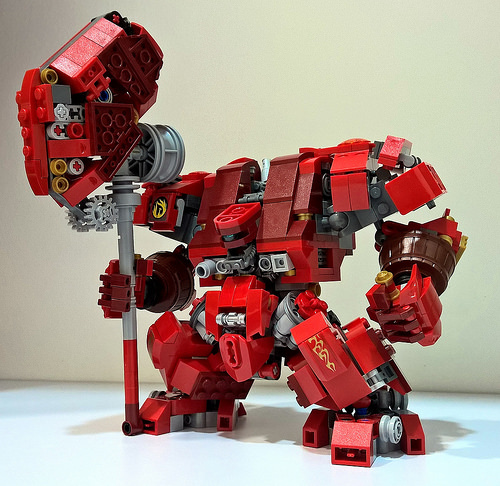 Conveying raw strength with stance and proportion is something the recent Hulkbuster set did really well, but this “dreadnaughtwhammer” by chubbybots blows it right out of the water. It’s got so much going on, so I won’t zero in on all of it, but I have to point out the use of the brown barrel pieces on the arm as a great way to break up the shapes as well as proving some color variance. Be sure to check out the builder’s photostream to see the progression of this model.